Boxing has certainly had its share of odd events. In no particular order of preference here are ten that have always stood out to me. 1 – November 6, 1993 / Las Vegas, Nevada … Holyfield vs. Bowe II, a fan James Miller lands by parachute into the ring during round 7 causing a 21 minute delay in their heavyweight championship fight. 2 – December 4, 1912 / Paris, France … Georges Bernard fell asleep at the end of the sixth round during his middleweight title fight with Billy Papke. 3 – September 13, 1975 / Caracas, Venezuela Luis Etaba defeated Rafael Lovera by 4th round knockout to win WBC junior flyweight title, only to learn afterwards Lovera had never fought a professional fight before and only fought that one fight in his career. 4 – December 13, 1887 … “Nonpareil” Jack Dempsey retained his middleweight title by knockout in the 45th round over John Reagan. The bout took place in two rings. It Started in Huntington, Long Island and after the ring was flooded by nearby river, in the 8th round, both fighters boarded a tug boat and continued their bout 20 miles away in another ring. 5 – January 15, 1977 / Las Vegas, Nevada … Howard Smith wins a 10 round decision over Henry Clark. In round one, the original referee (Ferd Hernandez) suffered a epileptic seizure causing a fifteen minute delay before new referee (Richard Greene) was brought and the fight resumed. On a side note, prior to becoming a referee, Fred Hernandez boxed professionally and once scored a 10 round split decision win over an aging 44 year old Sugar Ray Robinson in 1965. 6 – In the eighties … middleweight boxer Wilbert “Vampire” Johnson, missing his two front teeth, was carried to the ring in a coffin. Once at ringside, he arose, wearing a Dracula-like black cap and flashing his ‘Vampire Smile’ to the fans. 7 – April 17, 1860 / Farnborough, England … Tom Sayers vs. John C. Heenan fought for 45 rounds, but only in 37 of those rounds was a referee present. After the 37th round, the referee quit due to threats made against him from ringside fans. The two boxers continued, without a referee, for another 8 rounds. Their heavyweight bout was called a draw after 45 rounds. 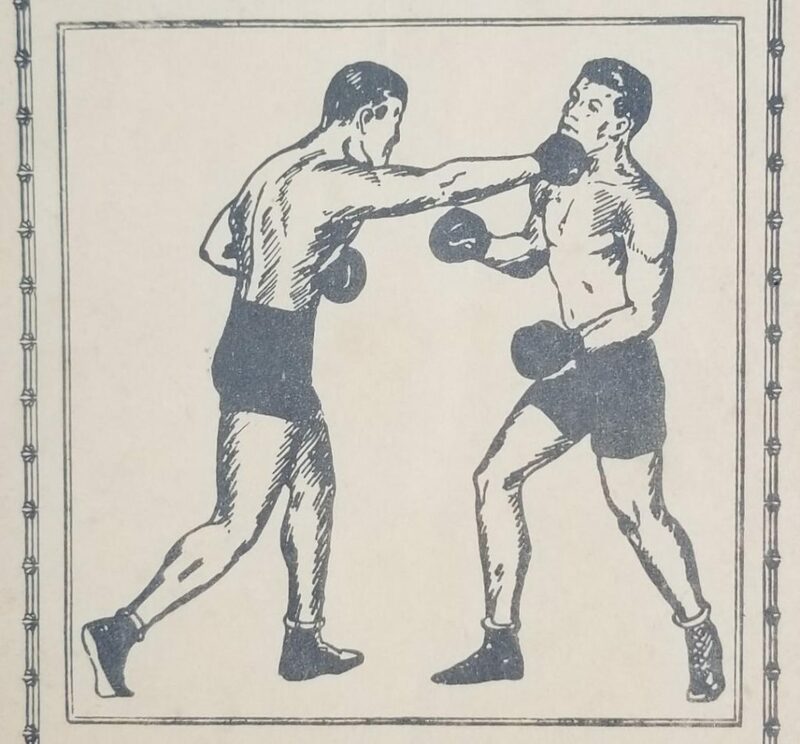 8 – July 4, 1910 / Reno, Nevada … Jack Johnson vs. Jim Jeffries heavyweight championship fight was promoted on a big stage without any preliminary bouts. 9 – February 12, 1916 / New York … Walter Edgerton, age 62, knocked out John Henry Johnson, age 45, in the fourth round of their featherweight bout. 10 – June 25, 1952 / New York … with the temperature hovering at 103 degrees, Sugar Ray Robinson, who was well ahead on the scorecards in his quest to win the light heavyweight title from Joey Maxim, succumbed to heat exhaustion at the end of the 13th round. This was the only time he failed to go the distance in his professional career which spanned 25 years and 200 fights. So brutal was the heat and humidity the original referee (Ruby Goldstein) collapsed after the 10th round and couldn’t continue. He had to be replaced by new referee (Ray Miller) so the fight could continue.